Droves of baby starfish are returning to Oregon and Northern California's shores after a wasting disease decimated whole populations of the creatures over the past two years along the West Coast. Data collected by Oregon State University researchers shows an unprecedented number of baby starfish, or sea stars, survived the summer and winter of 2015, the Eureka Times Standard reported. 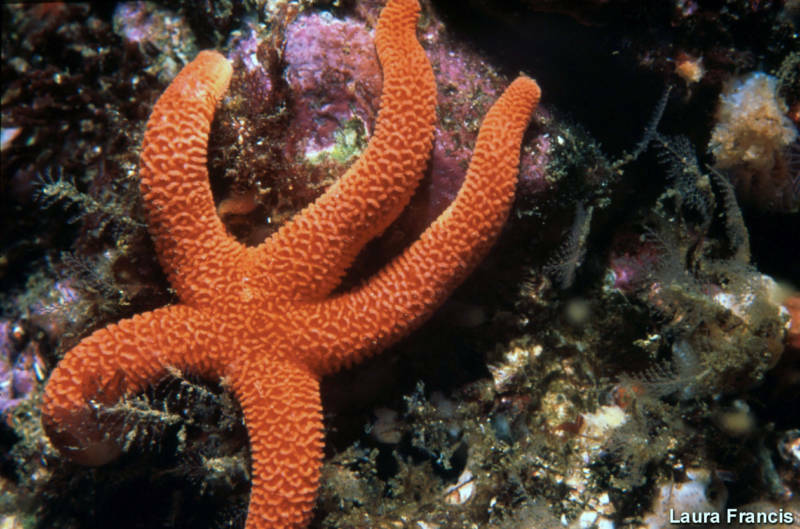 "When we looked at the settlement of the larval sea stars on rocks in 2014 during the epidemic, it was the same or maybe even a bit lower than previous years," Oregon State University marine biology professor Bruce Menge said in a statement. "But a few months later, the number of juveniles was off the charts— higher than we'd ever seen — as much as 300 times normal." A similar increase was found at sites just north of Trinidad, California, near Patrick's Point State Park. A baby starfish boom also was noted in the summer of 2014 near Santa Cruz. A virus killed millions of starfish on the Pacific Coast from Southern California to Alaska by causing them to lose their limbs and eventually disintegrate into slime and piles of tiny bones. The cause of the massive outbreak remains unclear. Some have hypothesized it to be abnormally warm waters in the Pacific Ocean, which have wreaked havoc on marine ecosystems for the past two years. Humboldt State University Marine Lab Director Brian Tissot disagrees with that hypothesis since the virus spread during colder months and didn't expand as much during the abnormally warm 2015. "There is no clear environmental cue," Tissot said, adding the deadly wasting disease has declined in intensity but remains present. Experts say that while it's encouraging to see the abundance of baby starfish, the disease, competition and environmental factors make their survival difficult.